It’s probably no secret that we at Corona like to think about demographics a lot (we posted this cool quiz to test your demographic knowledge a few months ago). A few weeks ago, it took all of my self-control to not turn to whoever was sitting next to me on a plane and start discussing this Atlantic article about China’s changing demographics. Not only is the article interesting for political nerds, it is also a great example of how a dramatic shift in demographics over a relatively short amount of time is going to have large effects on China’s status as a world power. At Corona, we often see this same pattern on a much smaller scale at the organizations we work with. These demographic changes are apparent in both the work force and populations that many of our clients serve. 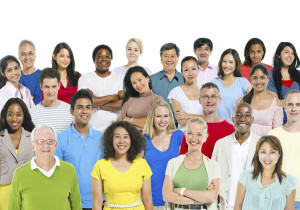 Understanding demographic trends can help organizations plan for the future. If your organization works with children, you may have already had to plan for some significant changes in demographics, given that big changes have already started for younger generations. There are two key steps that an organization can take to anticipate and grow with changing demographics. First, a demographic analysis can give your organization a good idea of how your customers/supporters compare to the broader population. For example, if your organization provides support for low income children in Denver, it is important to know whether you are serving that population well. A demographic analysis could show you what the population of low income children in Denver look like (e.g., what is their living situation, who are their parents, etc.). Then, your organization could compare the demographics of the children you are currently serving with the broader population to identify any gaps. For example, you may not be serving as many young parents as you would expect given the population in Denver. Second, an organization can then do target research with a specific demographic to better understand how to reach them, serve them, etc. In the previous example, the organization might want to do focus groups with young, low income parents in Denver to get an idea of what the barriers are to serving that population. These steps can help an organization both better meet the needs of the current population and plan for population shifts in the future.